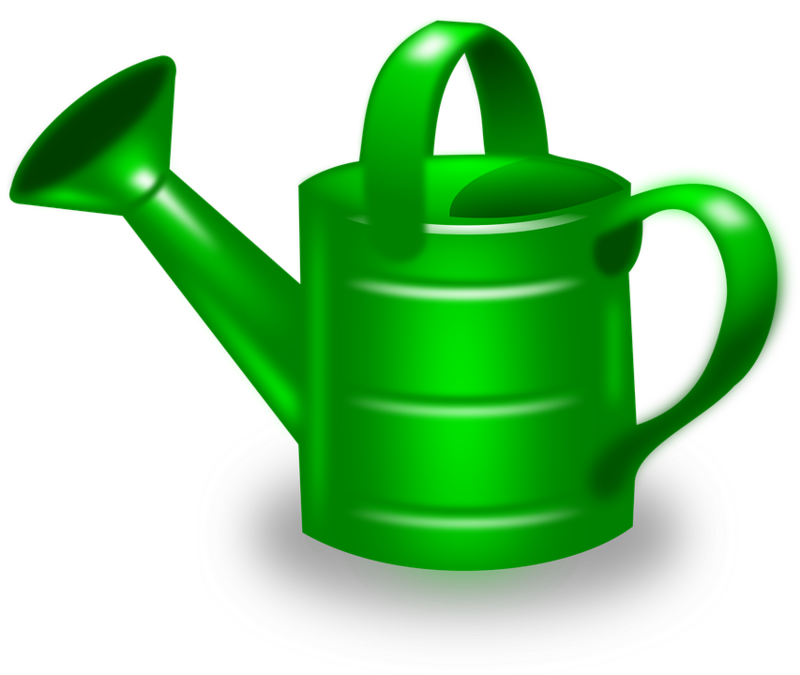 Please go to our parents page to see our recent Science Subject Inspection Report. Create an Island home as part of our Erasmus project before the students travel to Croatia. 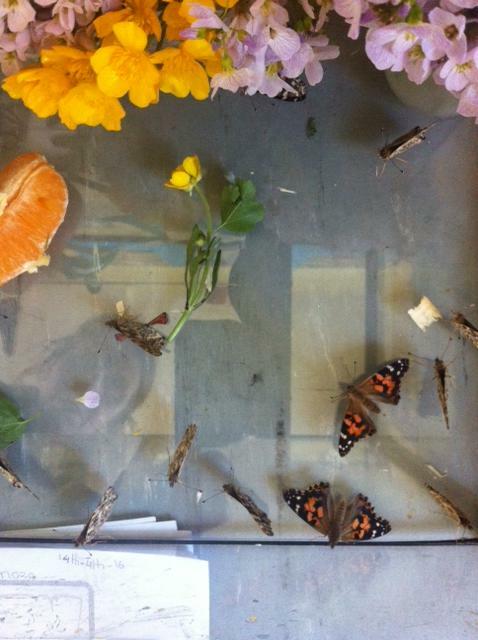 Have you heard about the new outdoor education experience offered at Eglish Ns under Forest School Principles. 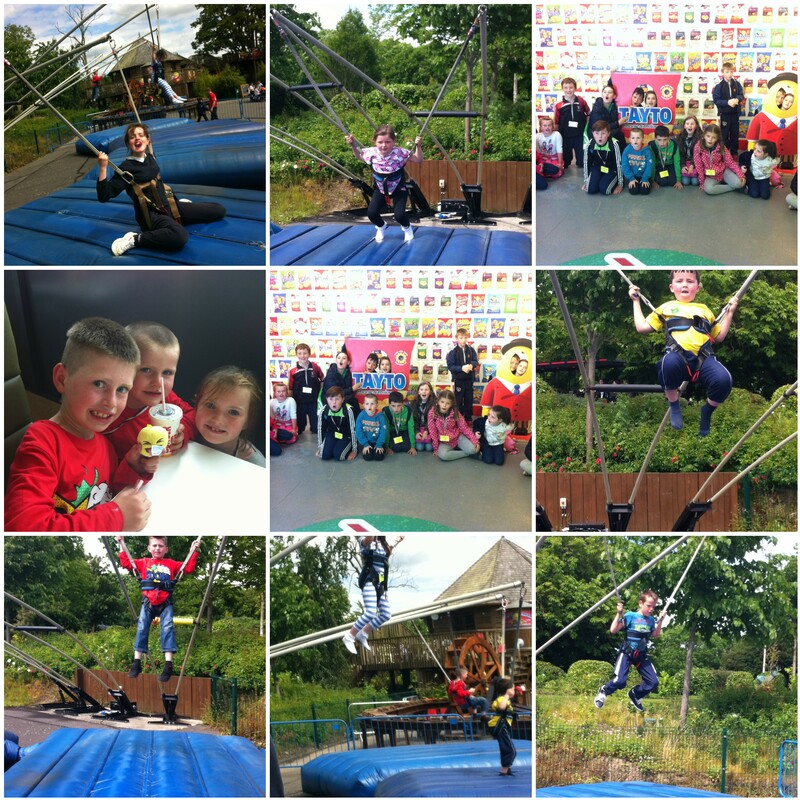 We call it Fresh Air Club and it's serious fun! 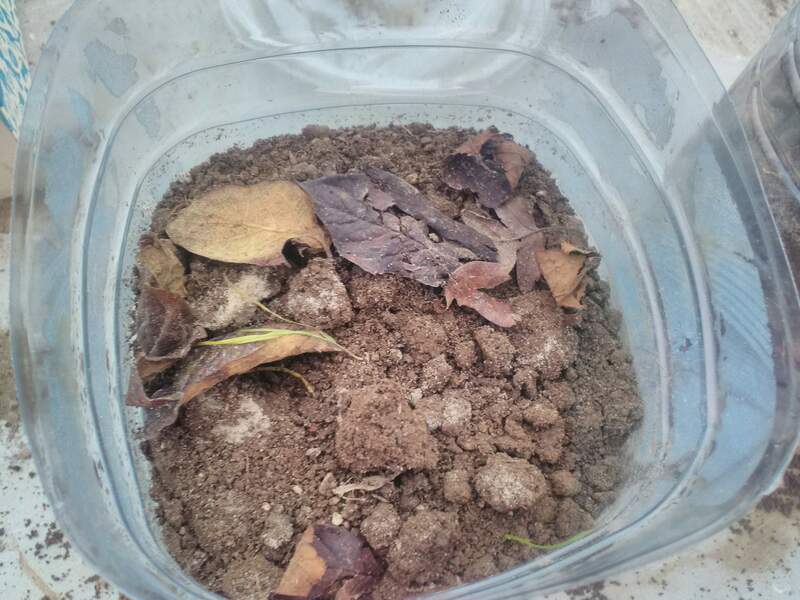 Check out our wormery in a recycled 5 Litre water bottle. 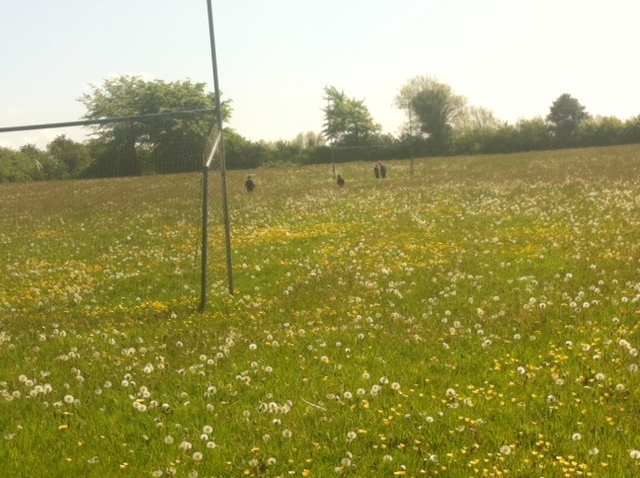 We are not sure where they went to after the weekend though!! Our Fresh Air Club is up and running for the Spring Term. 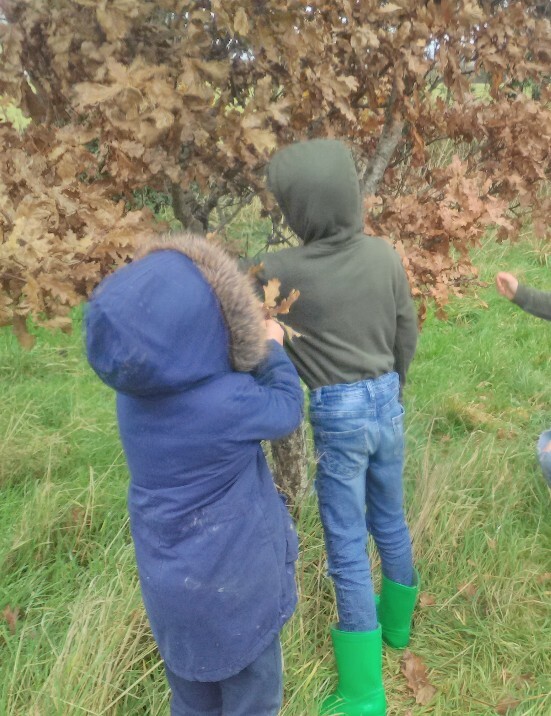 Based on the principles of Forest School our children are learning all about our extensive school grounds and the flora and fauna that we share it with. All that and we are also having a lot of fun. We are so excited to have had the opportunity to create a better future for the generations of children who will attend Eglish NS. 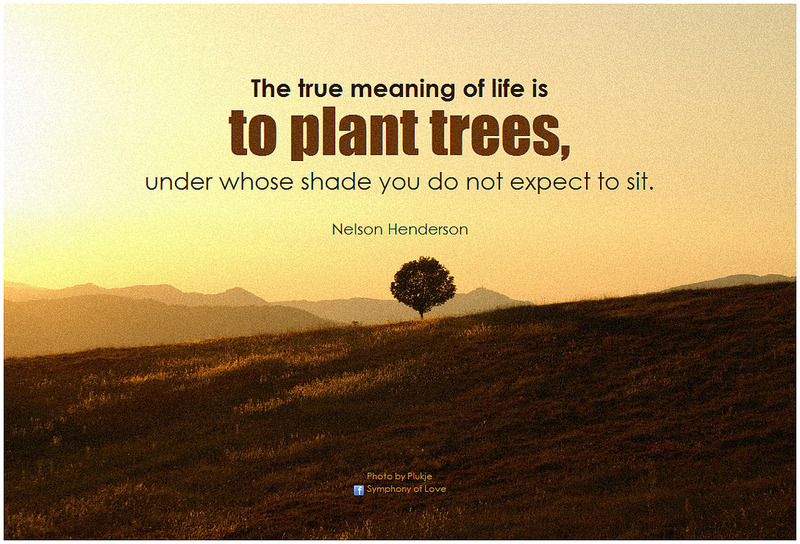 We have planted 100 trees for you. Though they are small now, they, like dreams, will grow and flourish. Sincerest thanks to each and every family who came to plant trees in this special event. We've done it again. 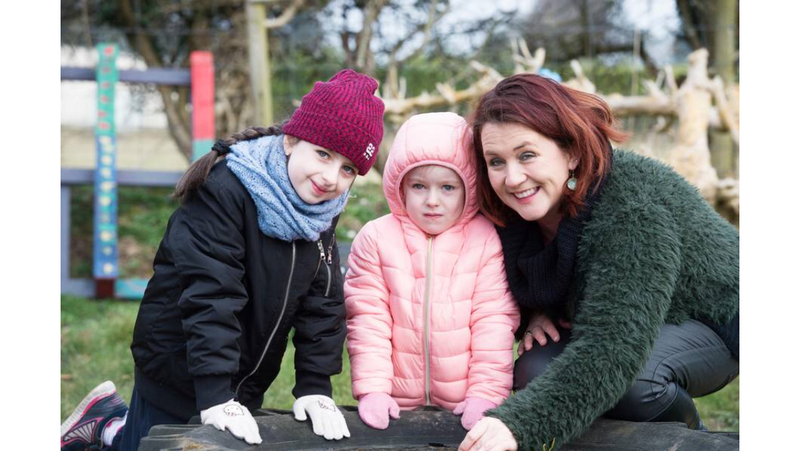 Our newest Irish play 'An Cailín Nua' has brought even more success to our school, winning all the county competitions for best play from an English speaking school outside the Gaeltacht. All the pupils of Eglish Ns from 1st to 6th class were involved in this creative drama set in our very own school 'Scoil na hEaglaise'. Watch this space to find out when we are performing again. 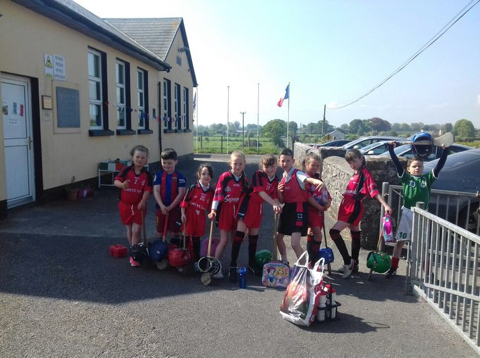 Proud to welcome in December, our local hurling hero, Galway All Star, Cathal Mannion to our school. 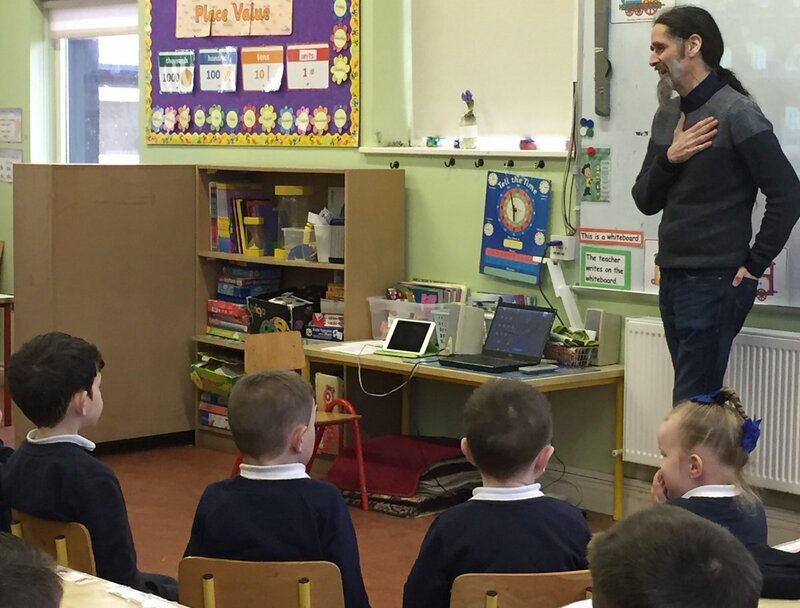 Luke Ming Flanagan visited our school to talk to us about his role as an MEP. 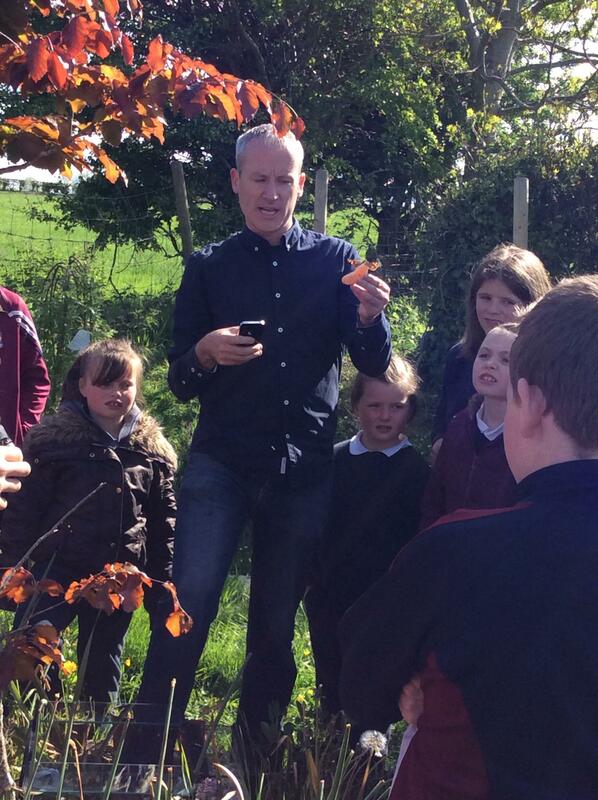 He also spoke to us about his schooldays and our bogs. He answered our students' many questions and inspired our students with his answers. 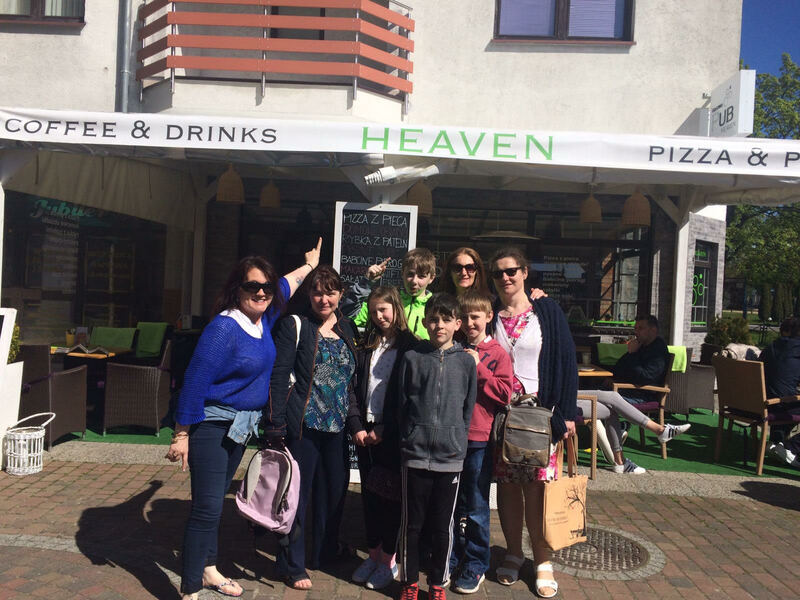 Our students sang 'Galway Bay' proudly for him and also delighted him with the song 'Somewhere in Europe'. All the time in Eglish, I was over the moon. And now I strike a confident pose. How all in Eglish has helped give me a fantastic start. 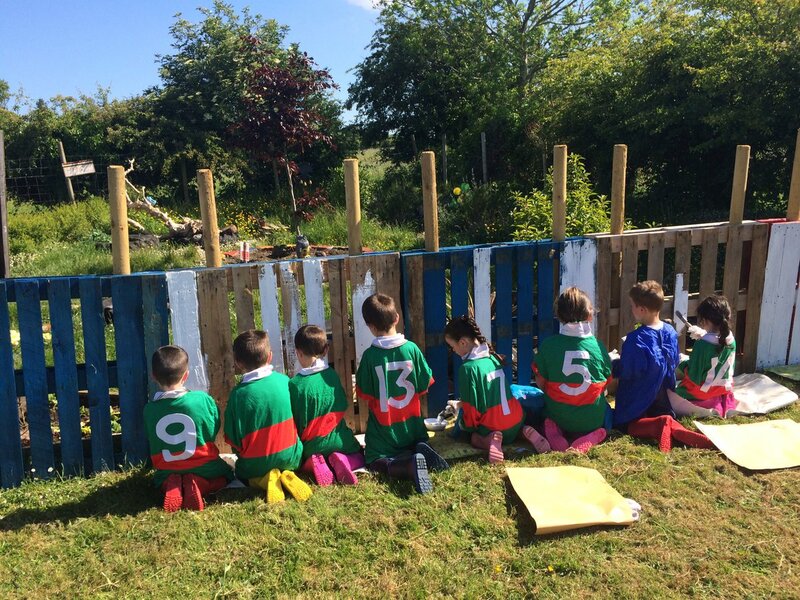 Young pupils of Eglish NS prepare the recycled fence of the sensory garden for a creative lift. 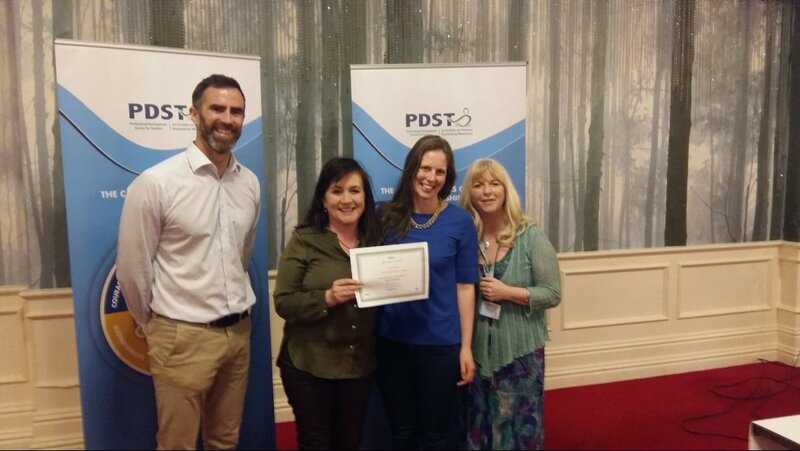 Principal and Deputy receive their certificate for completion of the Forbairt leadership training provided by the PDST. The Middle and Senior Room Students are delighted to meet up with children from local schools in the Go Games Series. 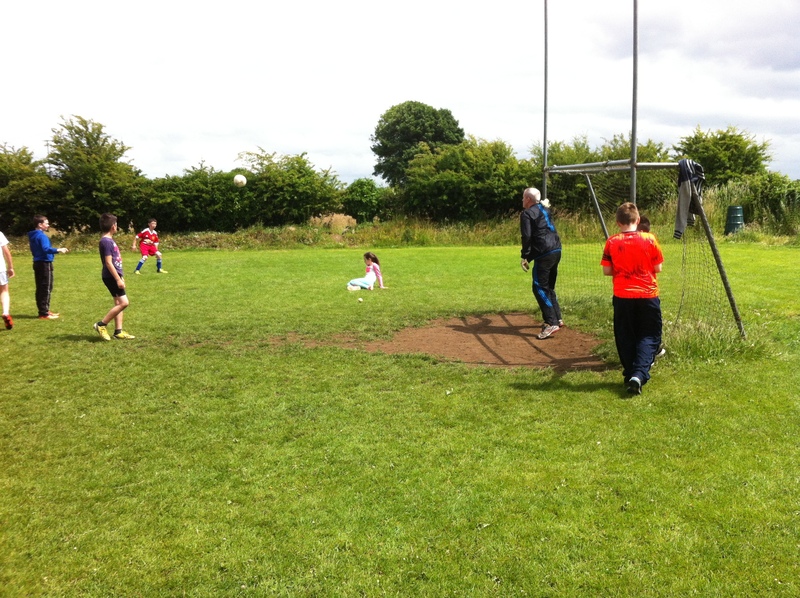 Thanks to Ger for organising. 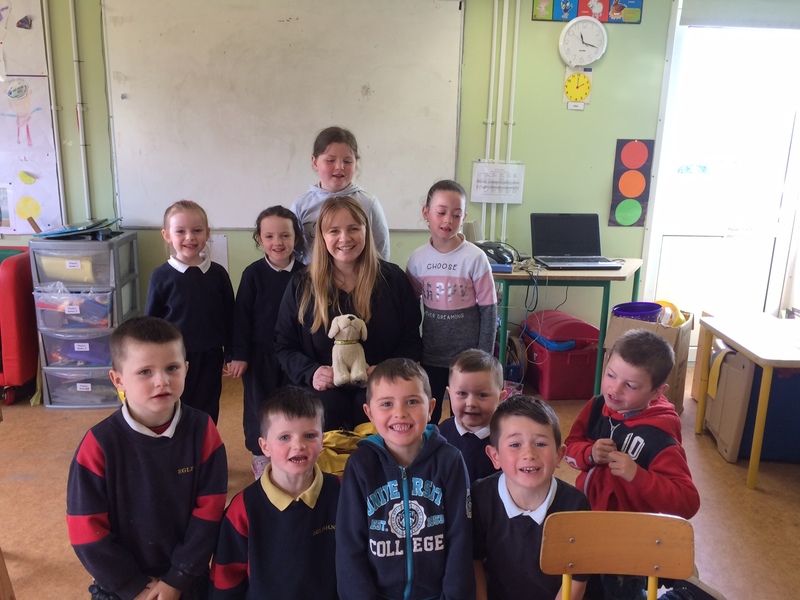 Aoife, from Dog's Trust, visited with informative workshops on keeping our dogs healthy and caring for them. Thanks Aoife and Dog's Trust. 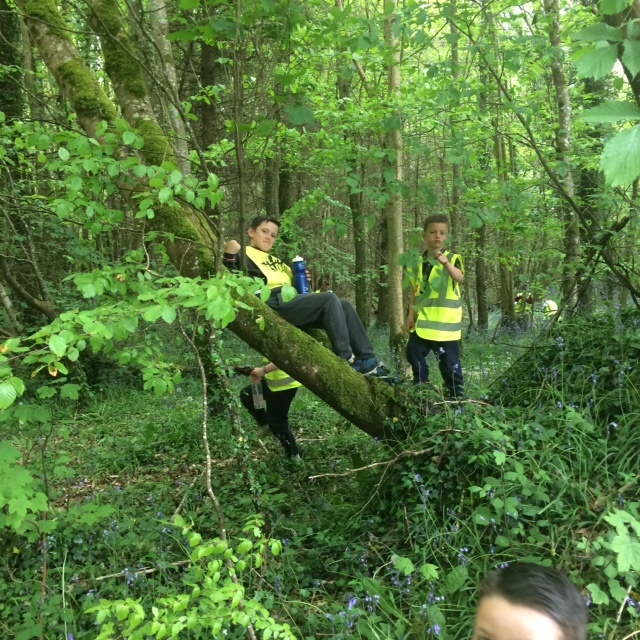 We visited Bannerton's Woods to see the carpet of bluebells last week. We sat in silence and heard the beautiful birdsong and buzzing insects. Ms Moore has been taking part in the Teachers in Residence with Curum at NUIG and together with the Senior Room pupils we have been learning all about Parkinsons' Disease and the medical devices that can be used to treat it. Check out the jelly brain and simple equipment we used to study how to make medical devices. 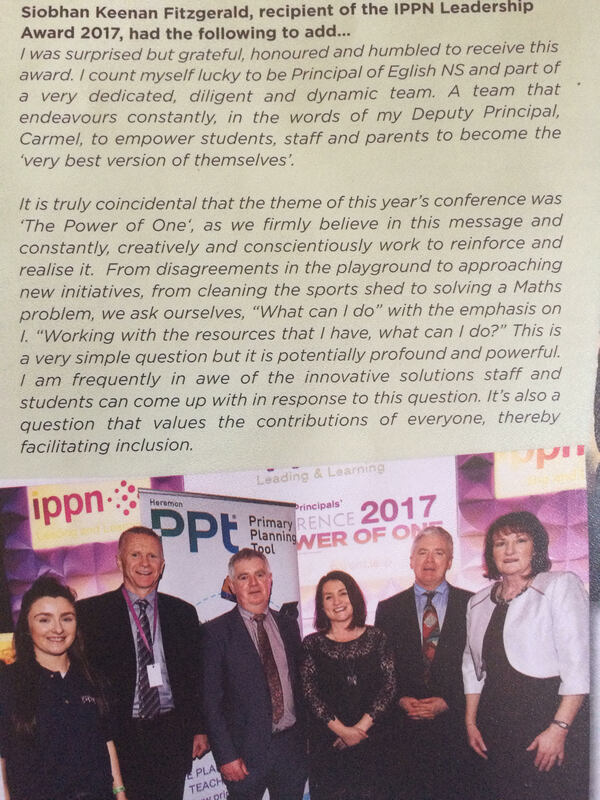 See the article Eglish NS features in, written by Katherine Donnelly entitled 'Power of positive leadership on schools'. YES. 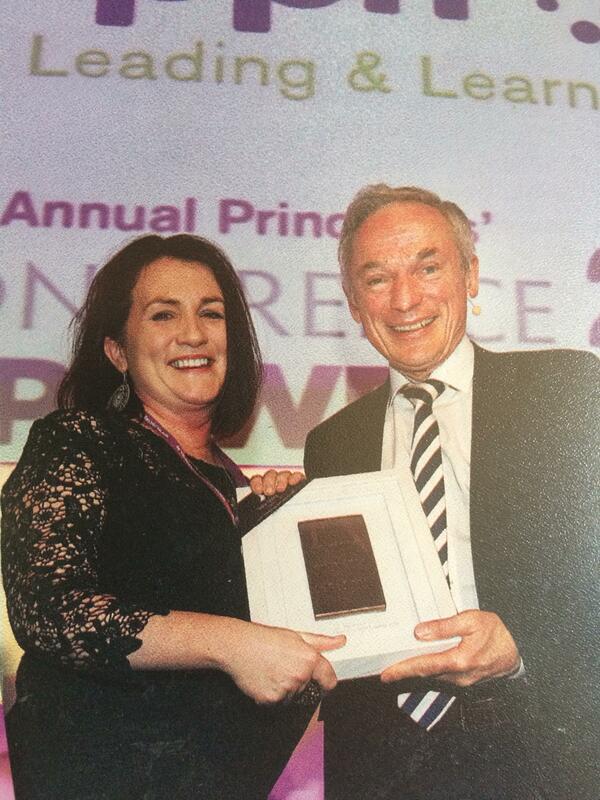 Our principal Siobhan Keenan Fitzgerald won the IPPN Leadership Award for 2017. See her own words here. They even wrote a poem about it! In January, we went on an Erasmus trip to Finland. It was an amazing educational experience and we had a lot of fun. 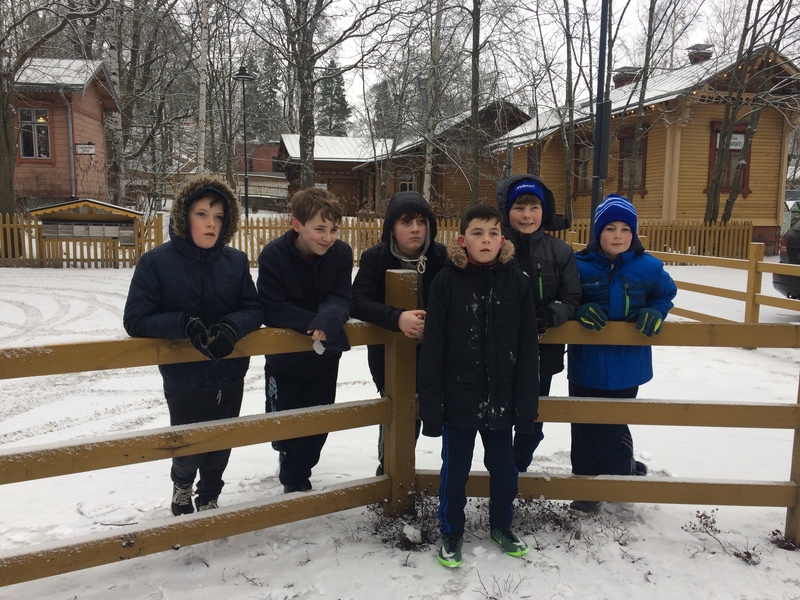 Click on this link to see our adventure: Eglish NS visits Finland. 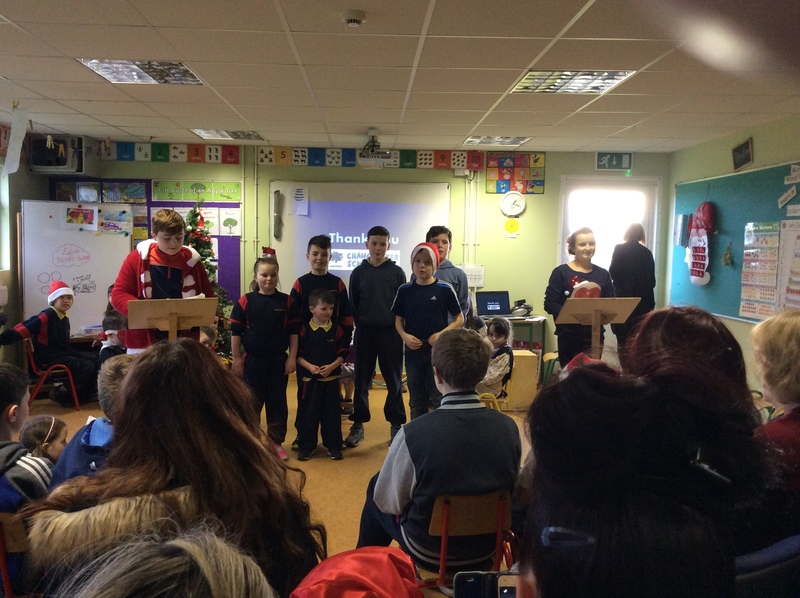 From music, to jokes, plays, hurling skills, football skills, singing, poetry and dancing, Eglish NS' students showed that they definitely have talent at the Christmas Talent Show on December 14th. 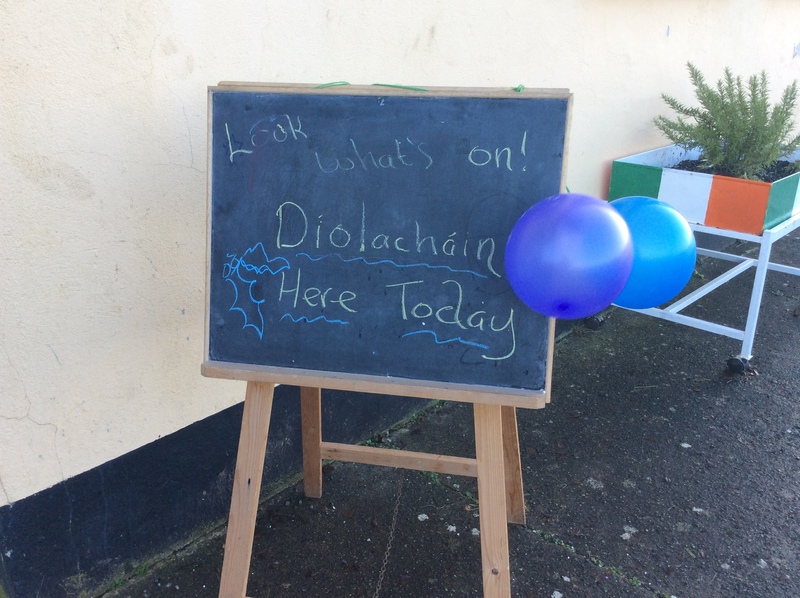 We held our annual 'Díolacháin' on December 16th. Many of the Senior Room made their own crafts and /or came up with their own innovative ways to make money. 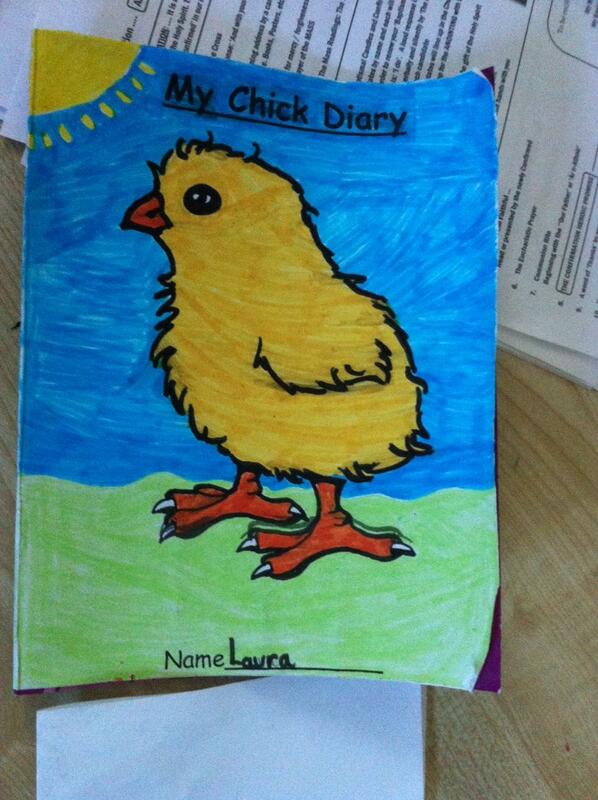 Students who came up with their own idea for their stall got to keep 85% of the money they made. It was a fun day for all and very fruitful for many. We held 'Earth Day' at the end of September to raise money for the victims of the recent earthquake in Amatrice. 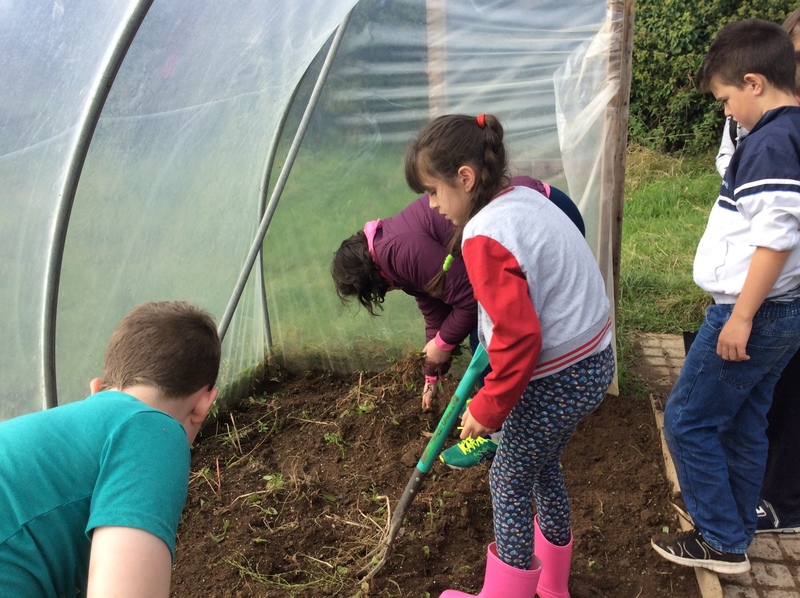 On this day, we brought in €2 each to wear our old clothes, clothes we could comfortably plant, weed and explore the beauty of the earth in. 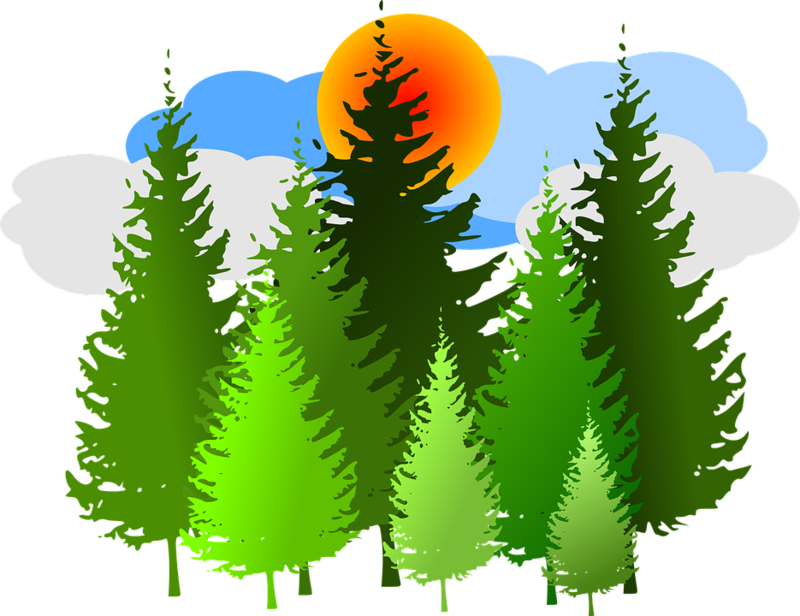 We had special lessons in which we learned about and sang about the beauty and power of the earth. 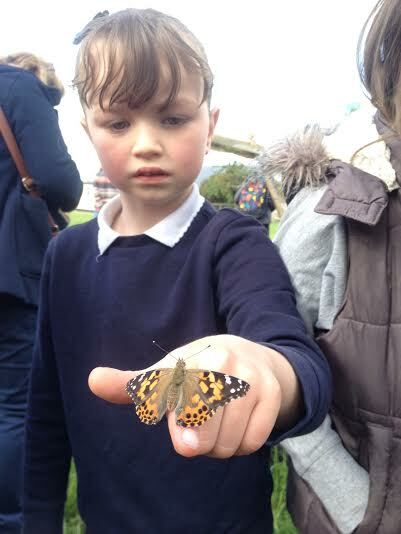 We were reminded of what we can do to look after and protect it. All in all, we raised €150 which the Erasmus Plus delegation from our school brought to Faenza, Italy with them in October and presented to our partner school there to be put towards the rebuilding of the school in Amatrice that was destroyed in the earthquake. Our thoughts and prayers are with those who have suffered. It feels good to help others. We received the "Discover Primary Science Award' again this year for excellence in STEM (Science, Technology, Engineering and Maths) subjects. 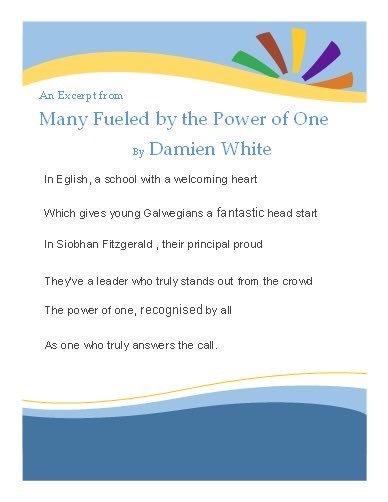 Very proud of the demographic make-up of our school, we actively foster and create a safe, supportive environment in which ALL of our students feel cherished, stimulated and proud to be the best version of themselves. For us it's about mutual respect. We see a huge opportunity, through nurturing all our students’ self-worth and self-confidence for us to challenge any existing prejudices in society and move beyond them. 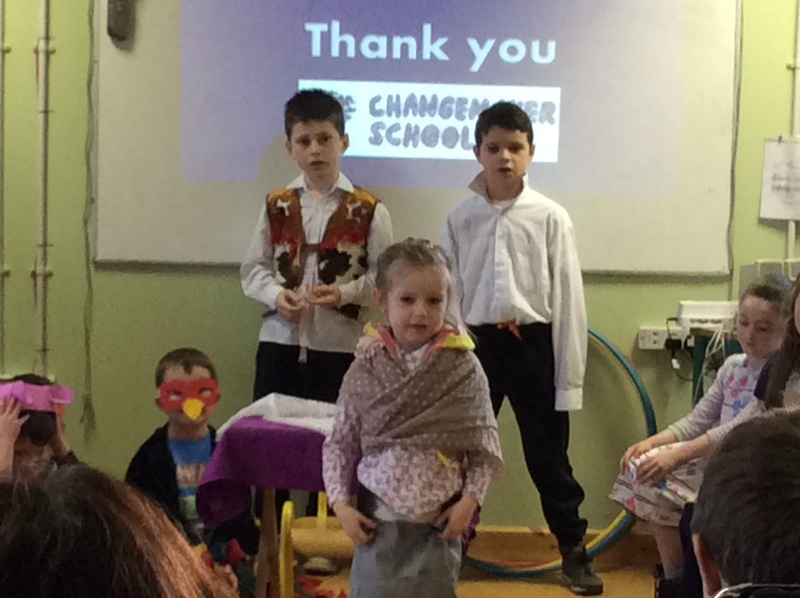 We aim to empower our students to be ‘Changemakers’, role models for their brothers, sisters, cousins and neighbours. Through encouraging creativity, we help every child find their passion and interest and develop it. 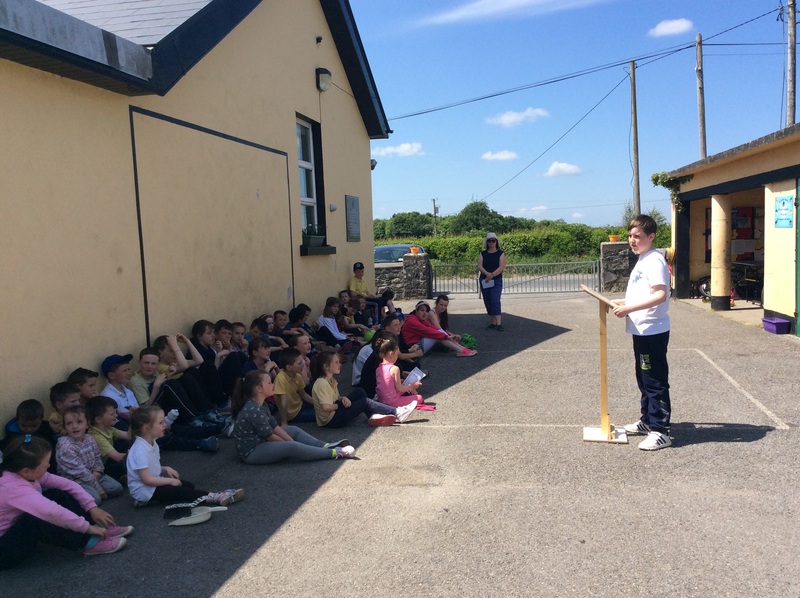 This year our students wrote, produced and acted in their own Irish play. Making and selling their own crafts at our annual ‘Bring and Buy’ Sale, entrepreneurial skills are developed. We frequently and actively celebrate diversity in all its forms, always reinforcing that ‘We are all, more alike than different’. Erasmus projects give us a deepened sense of how small our world is. Through School Self Evaluation, Oral Language was identified as most in need of focus and attention. With one third of students assessed as having a Speech and Language Difficulty, another big dilemma was the apparent reticence of students from the Travelling Community to share information about their backgrounds. Concerned also about how much time many students seemed to spend passively on Technology in their free time, to the apparent detriment of their communication skills, here lay the challenge and here lay the opportunity. 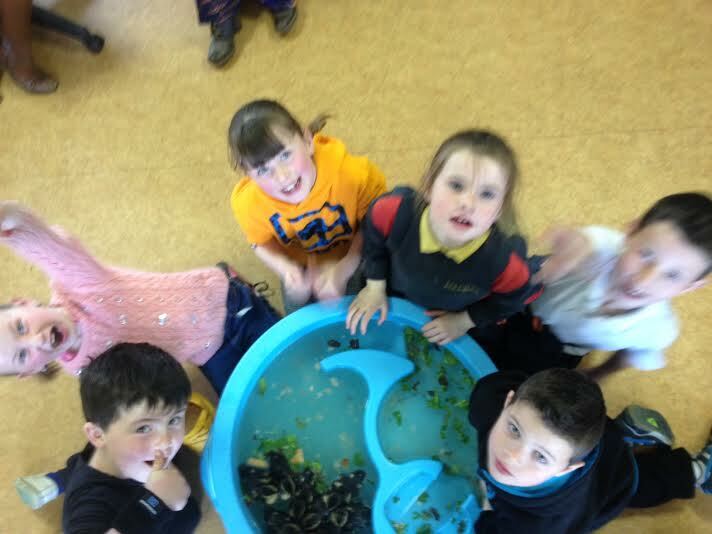 We are a small school with a big vision, a vision of all our children communicating clearly and confidently, expressing coherently their thoughts, feelings, hopes and dreams, listening empathically to one another, developing keen skills of evaluation and using technology as the tremendous tool that it is to enhance their presentations but not being mastered by technology. Using the ‘LET’s Stand’ (Listen, Evaluate, Talk, Stand) programme we encourage, enable and empower students to stand and present in front of an audience a minimum of 10 times a year, in every year of their Primary School Education. Each child speaks on topics relevant to their lives, all the while developing, step-by-step specific Public Speaking skills. Peer and Teacher feedback and evaluation is positive and specific. We get excited about topics that excite our students. ‘LET’s Stand’ targets the development of children’s Oral Language, Confidence and Public Speaking skills at a time when they, themselves most want to talk. This also feeds into the development of positive mental health practises. History boasts plenty of examples of great orators who have changed the world by standing up and speaking out. We are creating confident, communicatively competent orators for the future. Positive, powerful and passionate advocates for themselves and their communities. Encouraging our students to talk has been easy because they want to be heard. Slightly more difficult is creating the safe, supportive environment in which this can happen. By spending the time initially on clearly outlining and explaining the simple, respectful rules for ‘Listening’, ‘Evaluating’ and ‘Speaking’, the rest more easily falls into place. Discrete Oral Language time can be used for student presentations while many projects are easily linked to other curriculum subjects. Assigning preparation of oral projects for homework is a great way of getting the parents and extended family involved, promoting further increased communication and sharing of stories and culture at home. It’s homework that is not confined to being completed around the table. Our staff conscientiously model the skills we aim to develop in our students. We actively listen to them. 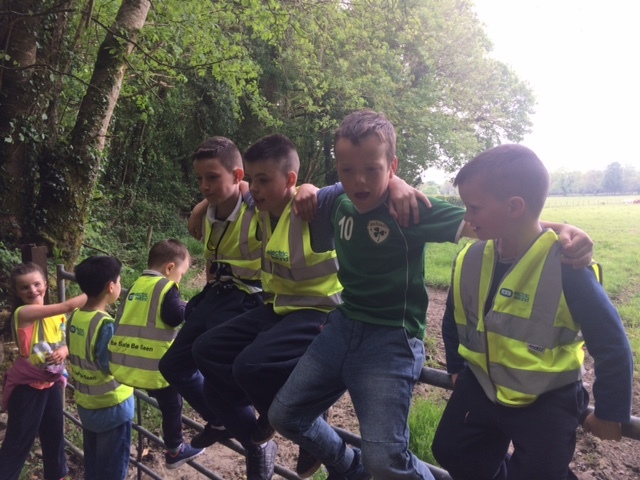 Working as a team, individual members of staff take the lead in their preferred areas of interest and create real opportunities for students to do the same. 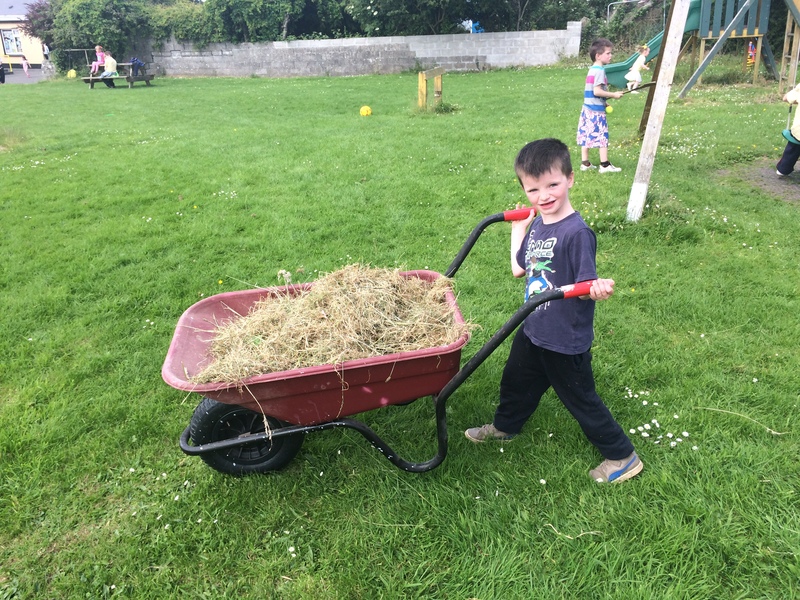 We realise that not simply teaching, we are moulding the young minds of rural Ireland, cultivating confident, clearly communicating leaders who can and will change the world for the good of us all. What a great day we had in Tayto Park in June 2016. 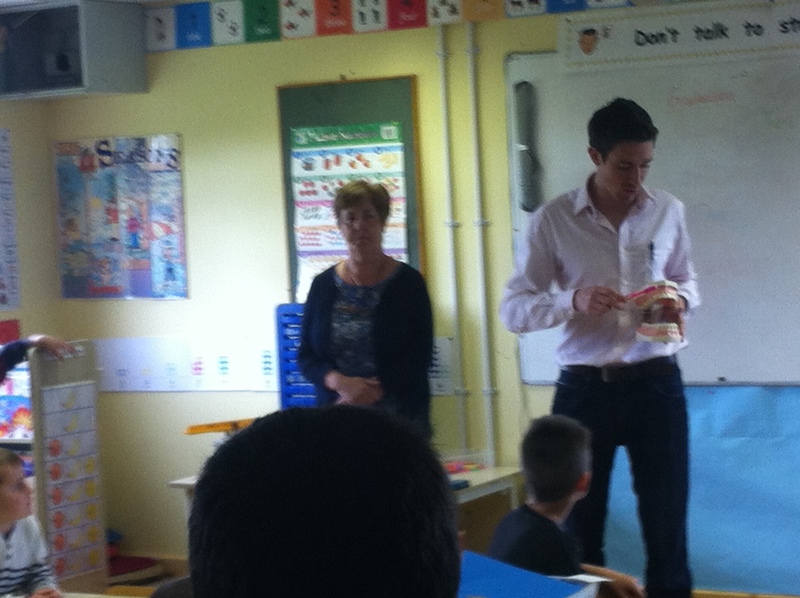 Fergal, the school dentist, visited Eglish Ns today with wisdom for us all about how to look after our pearly whites. Then brush up and down inside and along the surfaces. He said mouthwash has been proven to work best if used at a different time of a day to brushing. He recommended that we continue to eat fruit and vegetables but suggested eating a little cube of cheese after fruit to neutralise the acid and sugar. He warned against eating raisins as snacks. He said sugary cereals should as Cocopops and Frosties were not good for our teeth. 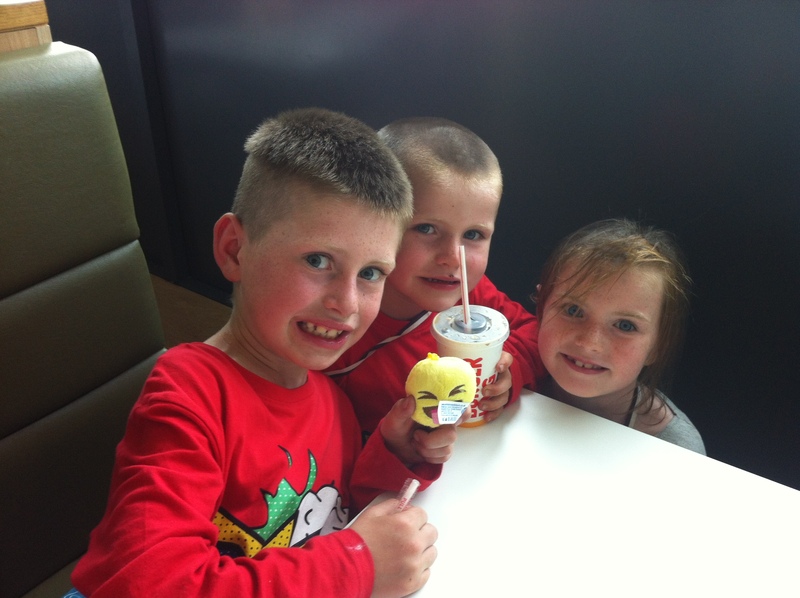 The best drinks according to Dentist Fergal were Milk and Water. Ribena and Fruit Juices should not be drank every day. Thanks for all the information Dentist Fergal. 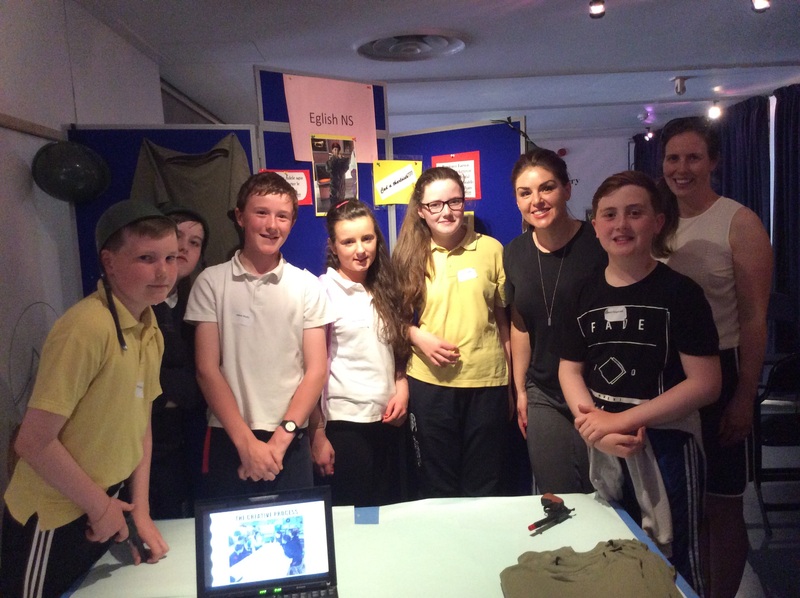 A number of students from the Senior Room of Eglish Ns proudly travelled to The Arc Cultural Centre in Temple Bar in Dublin on May 31st 2016 to receive a well-deserved Creative Schools Award, presented by Síle Seoige, for their project 'From Script to Stage'. 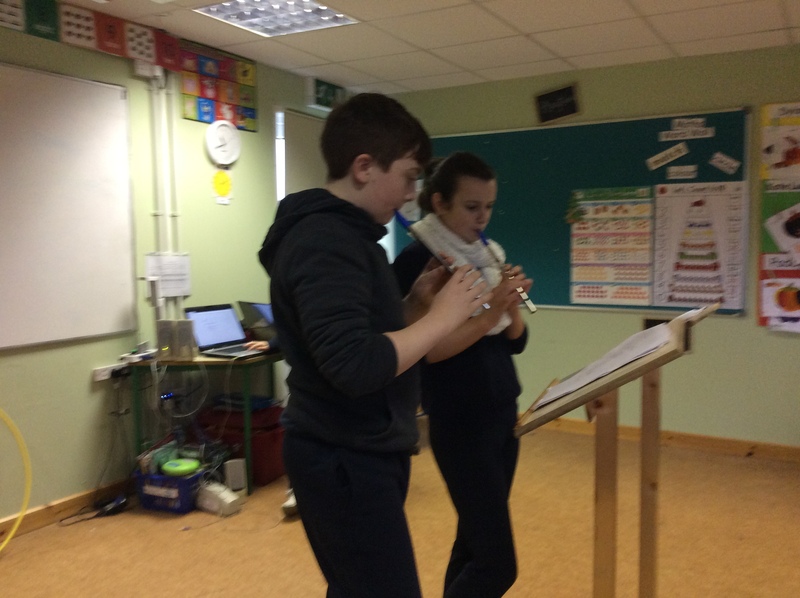 The project which encompassed a number of month's work saw the students create, produce and preform an innovative and creative story commemorating the events of 1916 with a modern twist. The characters from 1916, victims of foul weather, time travel to the present day for a funny, thought provoking spell in the jungle of 'I'm a Celebrity. Get me out of here'. 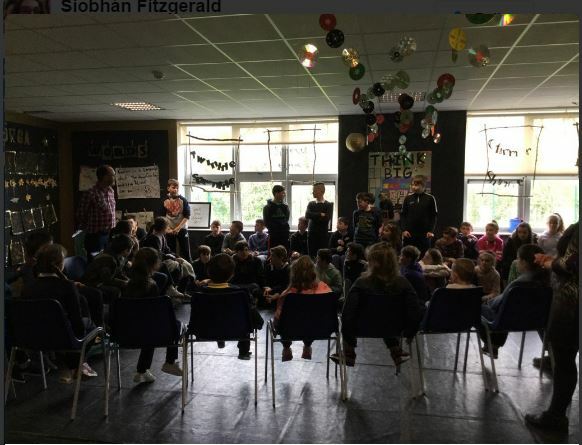 The drama the students wrote and produced as Gaeilge was staged as part of the school's award winning Scoil Dramaíocht entry. A blog about the creative process can be found at www.eglishnationalschool.blogspot.com. We couldn't be prouder of our students for their creativity and persistence. 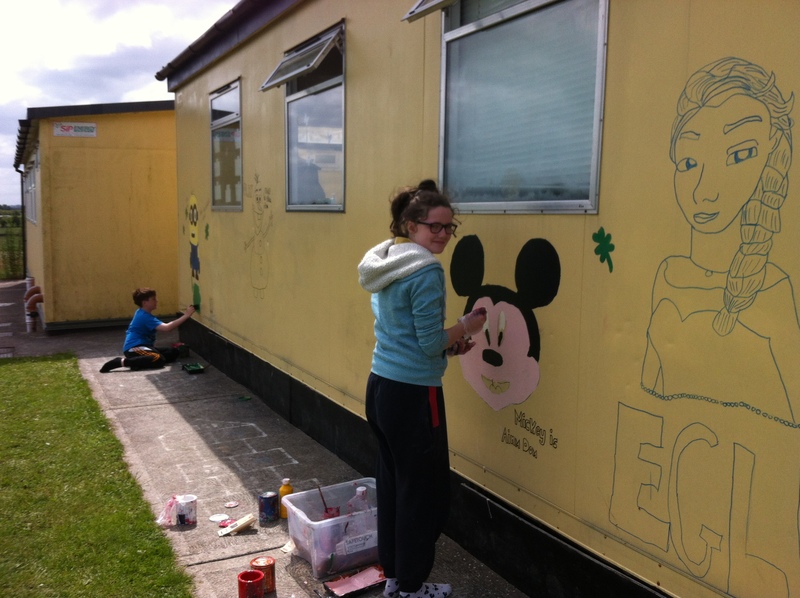 Check out our brand new murals created exclusively for us by our students. Thank you. Now we have something to remember you by when you are famous! -Hula hoopathon - Well done to our Hula Hoop Queen - Kate who had to twirl the Hula Hoop for over FORTY MINUTES. -Skipper of the Week Competition - Well done to our second time champion, Daniel, who impressed us all with skill and speed. And that's all before Sport's Day. Thanks to everyone for participating and mostly for adding to the fun of an exhausitng but rewarding week. 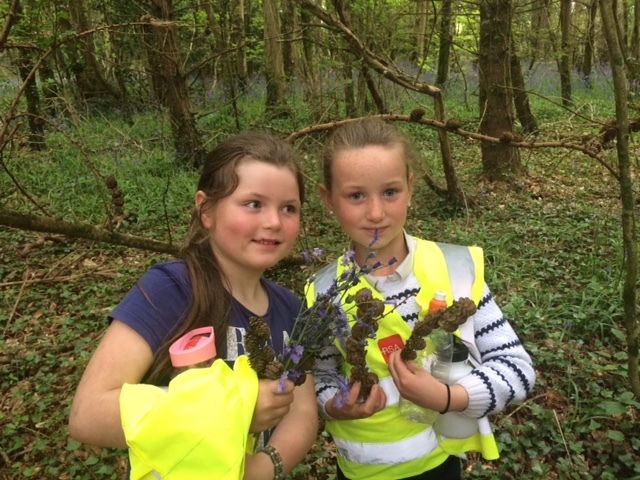 The children have been exploring the big field and the many wild flowers that grow there during the recent spell of hot weather here at Eglish. 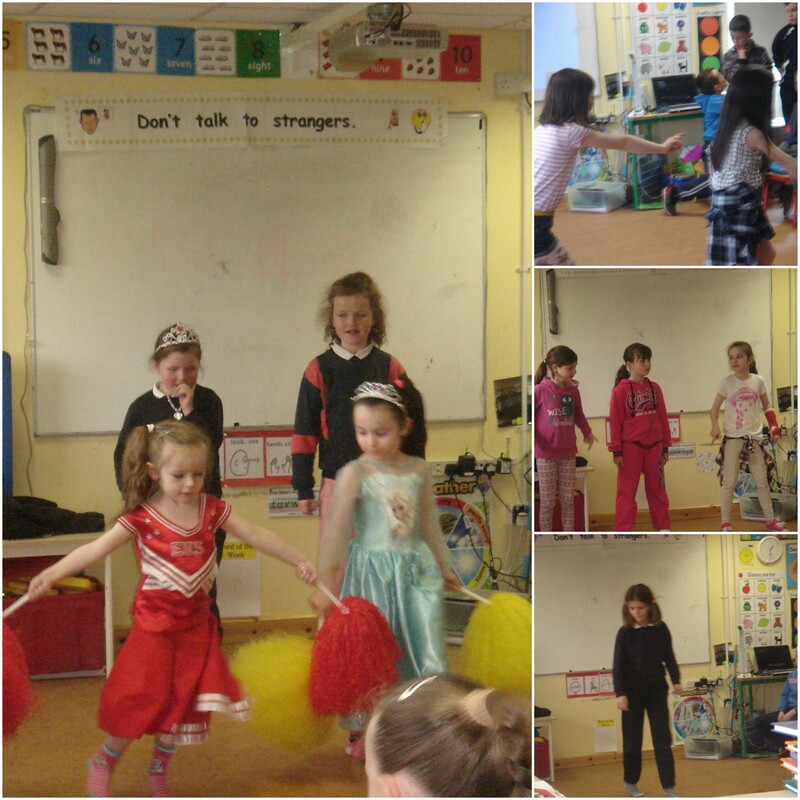 Recently we have been entertained at assembly by wonderful dancers. Check out some of the stars of the future! 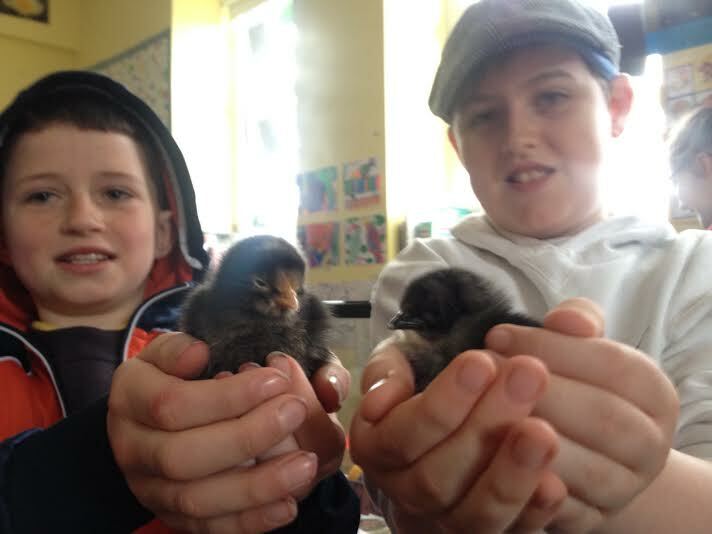 The Senior Room pupils, under the gentle guidance of Mr O Leochain have hatched out seven chicks. They are so fluffy and cute! 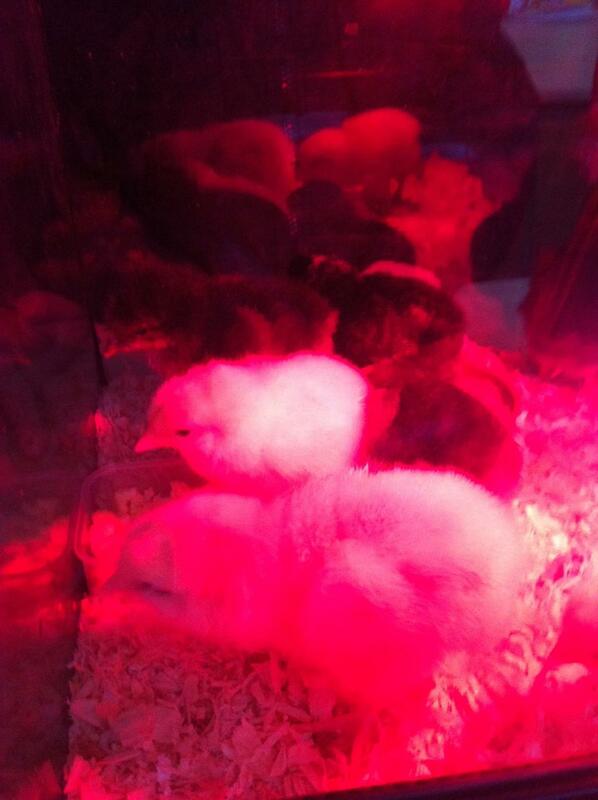 See them here under the red lamp to keep them warm. Discovery Primary Science Award for our many Science projects throughout the year. History boasts plenty of examples of great orators who have changed the world by standing up and speaking out. We are creating confident, communicatively competent orators for the future.